Celluloid Junkie has not ventured to Las Vegas for this year’s Consumer Electronic Show. Like the Hajj it is a pilgrimage that every technology pundit should undertake at least once in their life time, but once is also enough. We did, however, monitor it remotely and read up on all the news, developments and announcements made there, as well as talked to people on the ground. We hereby bring you the distilled insights from these fact and analysis gathering, condensed into six valuable lessons for cinema exhibitors. 1. 3D is not dead. No matter what you may have been hearing about last rites being performed on stereoscopic 3D, with attention shifting elsewhere (“Hello, Ultra High Definition TV!”), the format is far from dead. For a start, there is no television set manufactured and sold for over $400 today that is not 3D enabled. It’s just that the function is forgotten or ignored. Yes, there has been a decline in channels supporting 3D, such as sports network ESPN, but Hollywood’s committment has only slowed, not reversed. Gravity forced the most ardent 3D objectors to recant, if only for one movie and don’t be surprised if it ends up winning a Golden Globe, BAFTA or even an Oscar. This is even more the case for markets outside the US, particularly China. Stereo 3D is becoming better, easier and faster for films. Expect more 3D conversions of classical films and expect an announcement that “Star Wars: Episode VII” will be released in (converted) 3D. The reason CES has no time for TV is same as why they have largely moved on from connected TVs (those apps, other than Netflix and Hulu/iPlayer, that you never use), because they have to dream up a new reason for people to buy big TV sets. This year the reason is UHD TV. 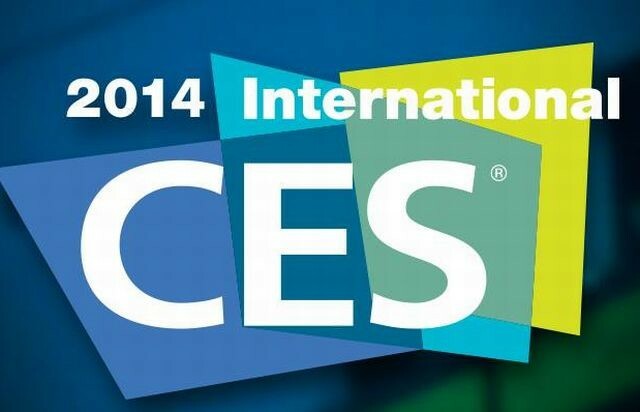 Expect 3D to make a return to CES 2015 and particularly 2016 when technology for auto-stereoscopic (i.e. glasses-free) television sets become available. This was the message by one of the ‘Godfathers of the format on a panel at CES’ (from THR): “[3D] needs a restart in the U.S.,” said Steve Schklair, CEO of 3Ality Technica. “The momentum for 3D is diminished. You need a gamechanger, and that will be autostereo.” This will only happen once 4K is established with the likes of Dolby and Philips busy perfecting it in their R&D centres. 3D for live events in cinemas will also be prominent in 2014, though don’t expect it for concert films. Remember, the technology is getting cheaper and better every day. 2. Forget about Ultra HDTV – it’s HDR that matters (for cinema too). This years big push when it comes to television seen has been the Ultra HDTV sets – some curved – that CE manufacturers hope will come to grace the living rooms across America and the world. Never mind that TV sets with 4K resolution have been available to buy since 2012, the prices now make them affordable for people other than Bill Gates (though do read these hilarious Amazon reviews of the Samsung UHD TV set – “My wife and I bought this after selling our daughter Amanda into white slavery. We actually got a refurbished. It’s missing the remote, but oh well– for $10K off, I can afford a universal, right?”). The reason 4K TV are a hot topic is because there is finally something 4K to show on them. Previously it was only 4K movies mastered by Sony Pictures on a special 4K player. Now Netflix has announced that the second season of House of Cards will stream in 4K and Amazon has followed suit by announcing a partnership with Samsung, Warner Bros and Lionsgate using Technicolor’s M-Go streaming and up-converting service. So films will be the main source of 4K content. If any exhibitor is worried that consumers will have access to higher resolution than their 2K Barco or Christie projector, they should look down on their new iPad mini, which already outresolutions more than half of the world’s digital cinema projector. Resolution is not the reason people watch films or TV on their iPad, its the convenience. The more important issue to emerge from CES is high dynamic range (HDR) and rather than talking about ‘more pixels’ the discussion is slowly shifting to ‘better pixels’. Both Dolby and Technicolor proposed solutions for how to expand the colour gamut and peak brightness at this year’s CES. This technology will only come in future television sets, one of the reasons UHD TV is not ready for prime time. But cinemas will be able to piggy-back on these development and take advantage of them in time for laser projection that will help make projected images look even more spectacular than even the most curved 4K Samsung television set in the home. But it will cost you. 3. Atmos is not arriving in the home – yet! Dolby’s Atmos and it’s Barco rival sibling immersive audio format Auro were was the dogs that didn’t bark at CES 2014. Both companies are clever enough to realise that with only just over 400 and 100 deployments respectively in cinemas world-wide, they do not wish to alienate early exhibitor adopters and potential future clients by trumpeting its soon-to-be entry into the home cinema market. That does not mean that it will not happen. There is no technical reason it could not be down today and as far back as 2012 Dolby told the New York Times openly that they hope to see it on the home. But timing is everything in life and this is some time off. Note also that 22.2 audio has already been standardised by the ITU in 22.2 SMPTE 2036-2UHDTV Audio (pdf). Wearable devices was another big theme at this year’s CES, but for all the wrist-centred fitness and lifestyle devices, the potentially most disruptive one is Google Glass, which will go from beta to actual product in 2014. Cinemas have become good at tackling camcording film theft in cinemas through a combination of legislation changes, staff incentive programmes, education campaign and forensic tracking to source. However, a discreet camera mounted to glasses cannot be easily detected. The first generation of Google Glass will not be good enough to compete with even a cheap camcorder to pirate a film. Nor will the second. The key lesson is that eventually though Google Glass and its copies will be good enough to record a whole film in a cinema as easily as watching it with 3D glasses today and whether that is year 2016 or 2019 is irrelevant. Also, use two Google glass and you can record the film in 3D. Consumers might not be rushing to upgrade their television sets fast enough for the liking of the manufacturers, but the same cannot be said for smartphones, with a handset replacement cycle of 22 months in 2012 and probably just under two years currently. While we wait for 4K TVs, we have camera-enabled phones that can shoot is resolutions far beyond that. As anyone who has been to a multiplex anywhere in the world in that last year can attest, the message to ‘Switch off your phone’ is falling on deaf ears, particularly for those under the age of 25. This column is not a rant at the pathological inability of young people to resist Candy Crush saga, checking their WhatsApp messages ur updating their status even for the duration of what old timers used to call a ‘single reel’ (that’s 1,000 feet or 300m, which works out to 11 minutes for any Millennial reading this). Short of sending everyone born after 1990 to etiquette school there is little cinemas can do to prevent this. So how do they adapt, particularly so as to not put off the older demographic from abandoning cinemas. An American cinema chain may have the solution that would satisfy both mobile addicts and folks who just want to enjoy movies. AMC plans to dedicate the back row of its 400 cinemas across North America to anyone who can’t go without a phone, even while in a theater. These so called “texting aisles” would include sound- and glow-proof barriers so that other people enjoying the movie wouldn’t be affected. According to AMC, the idea is to cut down on mobile phone use throughout the rest of the auditorium, though it said it had no plans to introduce similar measures at its branch in Manchester. It is too early to tell whether this is working or not, but other cinemas would do well to give it a shot to at least cut down on the level of irritating min screens glowing a distracting others from the bigger screen. There is also trials of incorporating the second screen into the advertising pre-show by the likes of Shazam and Screenvision as well as Yummi and DCM. Again, these are early days but technically they have proven themselves. The trick is to get the same Candy Crush users who can’t seem to otherwise put away their S4 to actually try it. Better use of linking ticketing, POS, concessions, loyalty reward schemes and more to the iOS and Android platforms could also include app alerts for people that remind them more effectively to avoid using the phone for the next 2 hours (or no free popcorn!) than a Dinosur roaring it off the screen. Bribes work. Cinemas are such a late arrival at the digital party that almost nobody in the rest of the tech world is interested in talking about it. With practically everything having gone digital, including your 105-year old grandmother’s hearing aid, having made the transition often more than a decade ago it’s almost an embarrassment that it took so long. But the film and cinema industry took to heart what Michael Karagosian formulated as the two possible roads digital cinema could have gone down, “we can either do this fast or we can do it right.” Fortunately the people in charge decided to do it right. While cinemas may have problems today and further challenges ahead, it is worth remembering that it could have been a lot worse. The danger now is that the industry should somehow see it as ‘mission accomplished’ or having arrived at an end point, whereas in fact it is at best at a Churchillian “beginning of the end” point. Capitalization rates for leased fees will likely vary between 7% and 9% based on a variety of key information, but relying extensively on the credit of the tenant. At an overall annual yield rate of 8% to 9%, the valuation of an older 8-screen theater would be between $2,000,000 to $2,250,000 (or $250,000 to $281,250 per screen) and $55.55 to $62.50 per square foot of building area. If I was a landlord I know who I would rather have as a tenant. You could argue that this is not so much comparing Apple and oranges as popcorn and nachos, since there will always be more multiplexes than stores selling iPhones. Well, only if you restrict the count to Apple-owned and operated stores as opposed to all consumer electronics and cell/mobile phone operator shops. The world might not be as flat as Thomas Friedman argued, but the playing field has levelled for cinemas. They may chose to come to Las Vegas a few months after the television set makers have left, but they are now competing on more equal terms than ever. The advantage is that they can now dive into the field of Internet-of-things, iBeacon, Big Data, social media and integrate it directly to your system. The bad news is that your equipment replacement cycle won’t be as short as smart phones or even television sets (down from 8.4 to 6.9 years), but it won’t be very much longer. Time to book your ticket to CES 2019 to see today’s cutting edge cinema technology in the home cinema’s rear view mirror by then.